Aston's of Manchester was established in Manchester city centre in 1978, originally located in the Royal Exchange Shopping Centre. A reputation soon evolved for the large range of smoking goods stocked and the friendly and knowledgeable service provided. In 1980 the business re-located to larger premises within the Royal Exchange Shopping Centre where it was one of the first tobacco stores outside of London to have a walk-in humidified cigar room. Business continued to grow until 1996 when Manchester was the target of an IRA terrorist bomb attack. Unfortunately the business could not continue trading due to the damage sustained by the Royal Exchange building with internal repairs taking more than two years to make the building safe again. Trading resumed in June 1998 with sales volume initially quite depressed, as one would expect following such a long closure. We hoped trade would eventually return and our persistence paid off and return it did. 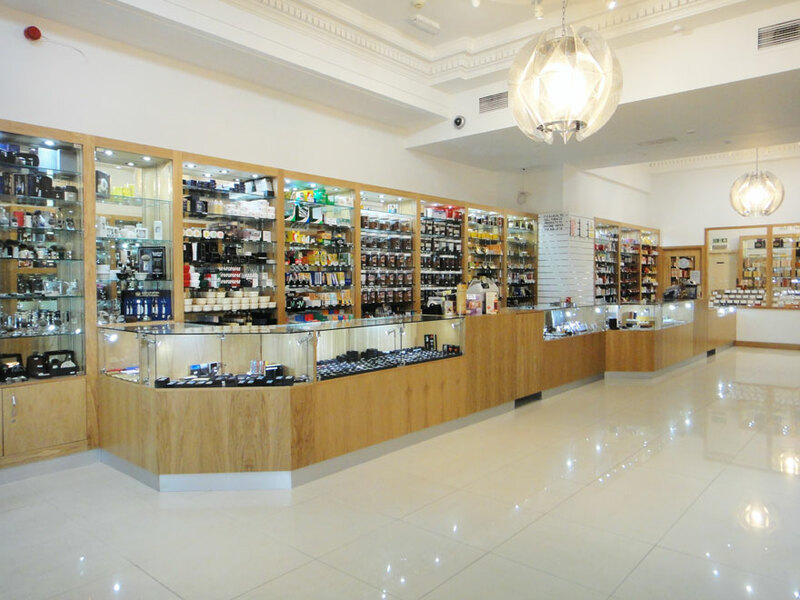 Another move followed in 2001, this time into the Royal Exchange Arcade, still within the Royal Exchange Building, with improved facilities and some new product lines such as walking canes, gentleman's accessories and grooming products. The most recent addition to our product offering is the Spirits, this meant another move was necessary. In 2012 we moved only 2 doors away to a much larger unit to allow enough space for a comprehensive selection of unusual, old and rare spirits. Currently standing at over 300 whiskies, 50 gins, 40 rums and dozens of other cognacs, vodkas, grappas and liqueurs. The tobacco trade has faced many challenges since 1978 and we are sure there are many more to come in the future but we must be bold and overcome these challenges if our trade is to survive. Over recent years retail has changed dramatically and it became apparent that we must change with the times. As a result we have created this website so we can offer the same carefully selected products and professional service as our customers receive in store but to a truly world-wide audience via the internet. We are open 11:00-16:00 on Sundays throughout November and December. We are open 11:00-16:00 on Bank Holidays with the exception of Christmas Day, Boxing Day and New Years Day on which we are closed.